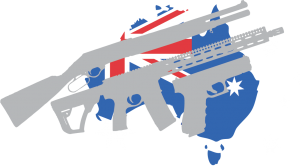 This group was designed to unite Australian Law-Abiding Firearm Owners (LAFO’s), and provide a voice for their needs and concerns. It was created in direct response to the hysterical and misinformed voices within Australia calling for further, unwarranted restrictions on the law-abiding shooters of the country. Australia already has some of the highest restrictions unnecessarily placed on its licensed shooters. It certainly doesn’t need anymore. The constant media, shady organisation and occasional political attempts to vilify and further restrict well over a million Australian shooters has worn very thin. It’s time to make a stand, and push back at the latest attempts to further damage our sport and lifestyle.